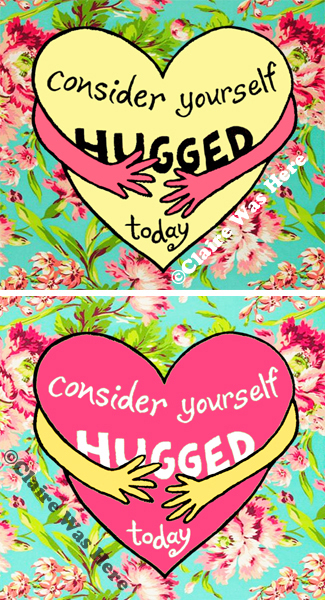 Consider yourself HUGGED today. Click to see another color option. Your towel will not have "Claire Was Here" written across is, that is for website copyright purposes only.